WILLIAMSPORT, Pa. – A 12-tackle game against Lebanon Valley has helped Lycoming College junior linebacker Brian Campbell (Drums, Pa./Hazleton Area) earn his first career weekly accolades, earning a slot on the D3football.com Team of the Week, the website announced on Tuesday night, Nov. 11. He leads the team with 63 tackles, including 7.5 for loss. He also has a sack and a breakup. After a slow start against the Dutchmen, Campbell became key in helping the Warriors to a 30-29 overtime win, as he posted 11 tackles, 2.5 for loss in the second half and overtime. 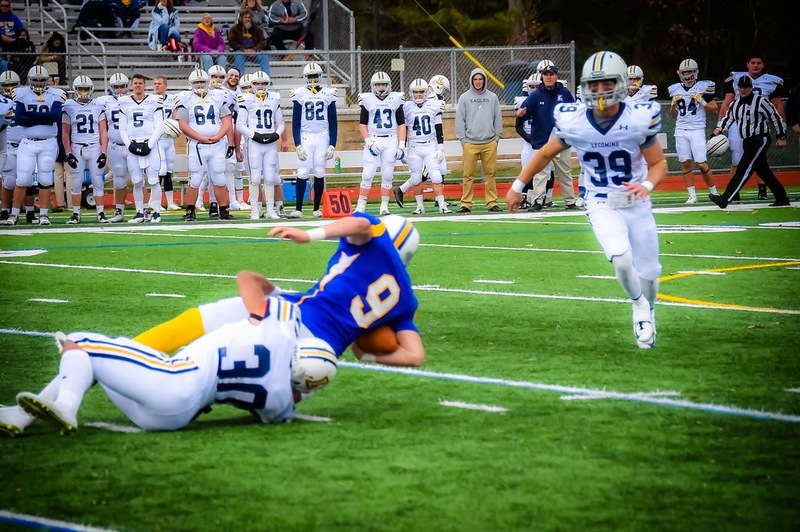 He made four stops in the red zone, including a two-yard tackle for loss from the Lycoming 4-yard line late in the third quarter that helped the Warriors keep the Dutchmen out of the end zone, holding them to a game-tying field goal. Campbell is having a breakout season for the Warriors, as he leads the team with 63 tackles, including 7.5 for loss. He also has a sack and a breakup.